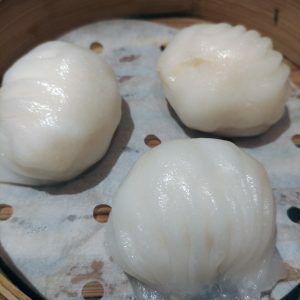 Welcome to the delicious world of Dim Sum! 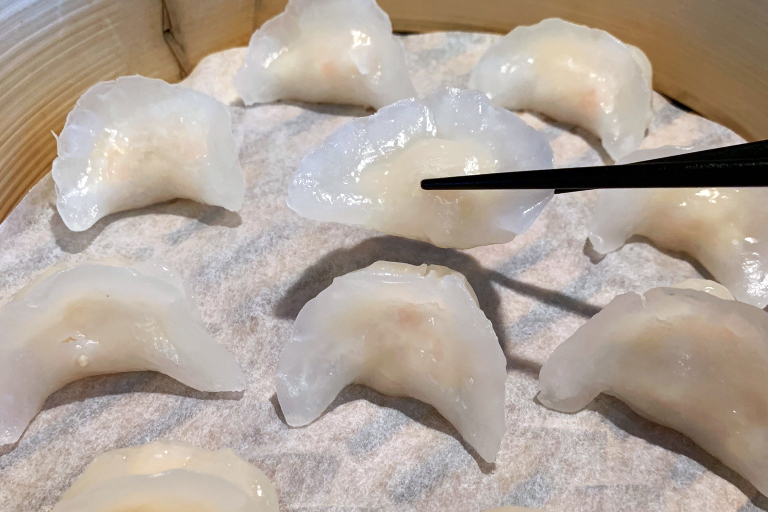 Dim Sum is the Cantonese pronunciation of 点心 (diǎn xīn), a verb that a thousand years ago, merely meant to “eat a little something”. A traditional act accompanied by a session of tea drinking, or yum cha in the teahouses in Southern China, those yummy little dishes are now enjoyed over a leisure brunch or a light and healthy meal. Shrimps will be starring in the very first installment of our Dim Sum class. 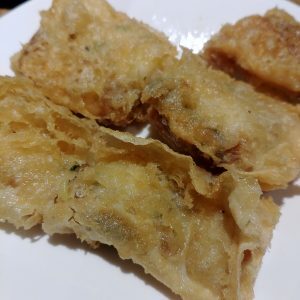 We’d be sharing how to make Har Gao or Shrimp Dumplings (虾饺), Pan Fried Crispy Prawn Rolls (香脆虾肉腐皮卷）and Kai Lan with oyster sauce (蚝油芥兰). A food consultant, instructor, and blogger. Cai Li teaches the Xiao Long Bao class at Spoonful. She was born and raised in China and has lived in Beijing, Washington DC and Singapore. 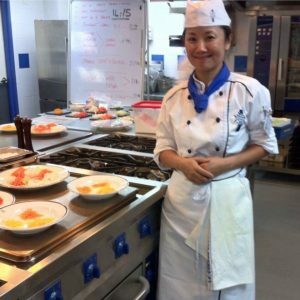 She received her culinary training at the Le Cordon Bleu in Kuala Lumpur, Malaysia in 2014. She shares easy recipes and stories on homemade Chinese and Asian food on the Facebook page @sentosadough and her blog of www.lets-playdough.com.